If you are using iOS device then you must aware of a very popular name Airpods. It’s basically a wireless earpiece device by the most leading tech giant apple which is known for excellence. After a great success of Apple through its wireless earpiece Airpods which is sold in really a great number last year, the company has launched its new Airpods version called Airpods 2. 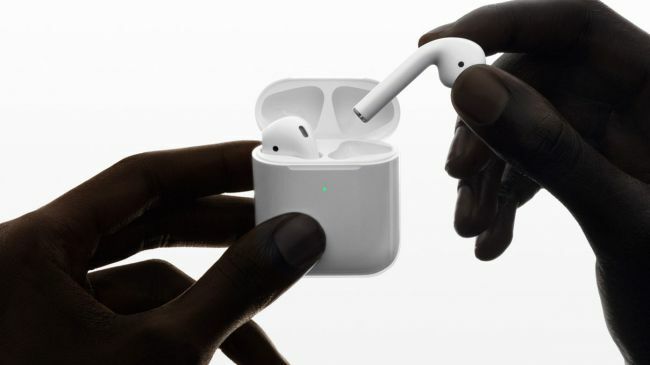 Means, more improved quality, reliability, and comfort and faster connect times as well, which all comes packed with new Airpods variant. In this article, we are going to make a deep light over this newly unveiled device through Apple Airpods 2 review here. Speaking about the new Airpods 2 from Apple, it’s said to be a second generation true wireless earbuds, which is now available with wireless charging case, hands free Siri voice assistant access, and many more features. This new earbuds is now available for users through official website of Apple, as well as through Apple Store app. Even the device is now available in physical Apple stores too. 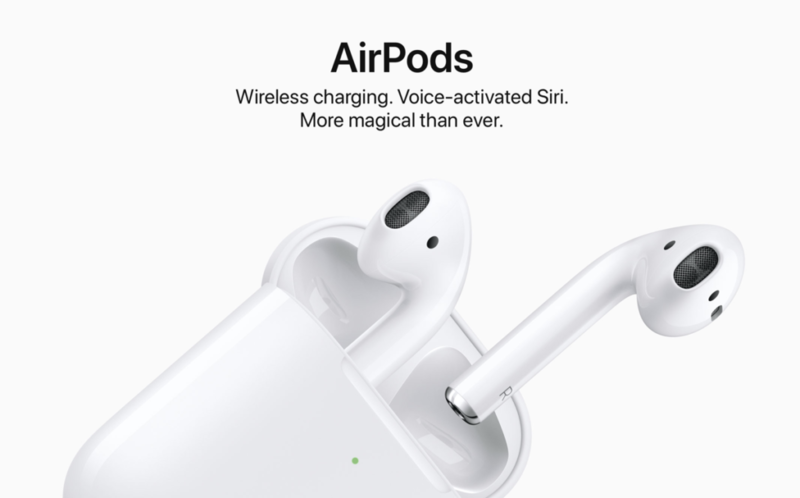 Since Apple has rolled out a number of its new products recently like iPad Air 2019m iPad Mini 2019 and even a new iMac 2019 version, it’s expected for Airpods as well to receive an update. And Airpods 2 is such an update to older earbuds. Also, the Apple has recently launched its video streaming service as well in rivalries to widely famous Netflix. Well, coming back to Apple Airpods 2 review, the new earbuds is significantly much different from its predecessor. You might have read the official press release to collect deep details about the new buds, but just judging through its details may keep you in many doubts. Thus, you might require to get through all its details in deep. Apple Airpods 2 Review: what’s actually new with Airpods 2? According to a recent reports, Apple has sold over 35 millions in 2018 even after the older device has divisive design. You might even have seen the great number counts around you with music fans. So, coming to the new updated Apple Airpods 2, it will probably seem to be like the older earbuds at first glance. Still they are complete wireless, drawing battery from its charging case and off course the stem like protrusions. But, the new Apple Airpods 2 review simply stated the buds have great and next gen improvements under its hood. Talking about the improvements, the very first change is its newly designed H1 chip that’s built by Apple specially for its earbuds. Means, the new buds will have improved connectivity pairing and efficiency of batter life as well. According to proclaims made by Apple, the new buds are efficient enough to provide you 50% more wireless talk time in compare to its predecessor. In the case of original Airpods, it’s able to offer you almost 5 hours of use and also complete 24 hours of talk time if its charging case is also taken in consideration. Based on this stats, you can jsutify the improvements with new Apple Airpods 2. Apart from improvement in battery life, the Apple Airpods 2 review even clears about a new additional feature called “Hey Siri” function. Means, an Artificial Intelligence Assistant in earbuds which will help you placing calls, changing songs, and even many more, just on your voice commands. Just put the Airpods 2 in your ear, and say “Hey Siri”, that’s too without taking out your iOS devices. Although Apple Airpods 2 comes packed with a charging case, the company has also announced to introduce a new wireless charging case for earbuds that is compatible with QI charging mats. Without this charging case, you would have to stick a cable in your buds. For old Airpods’ owners, it’s a good new that the new wireless charging case will even be compatible with your first gen Airpods too. But, you would have to pay a few dollars for it. Proceeding the Apple Airpods 2 review further and if we speak about the sound quality, we have still found no revelation regarding differenced between two generations. Once we receive any update on this matter, will update it here soon. Speaking about the prices of Apple Airpods 2, the new device is available with a price tag of $159 with a standard charging case. However, a user can get an update by paying $199 to get the new Wireless Charging Case as well. For old Airpods users, they can even buy the new wireless case by paying just $79 for it. About Availability, the new Airpods 2 are available through Apple’s official website, Apple Store app, and also through physical Apple stored too. If you check out for new Apple earbuds through official website or Apple Store app, the wireless charging case can be yours without any price. Really exciting? Off course it should be. Mostly, the tech giant Apple likes to offer its products in white color, but since the era has now been changed and all other devices like iPhones, iPads, etc are available in range of colors. Everyone, probably wants to match their iOS device color with headphones and Apple Watches as well, so it’s an expectation to receive same courtesy with Airpods as well. But unfortunately, Apple keeps seems not in mood to put those expectations in reality. 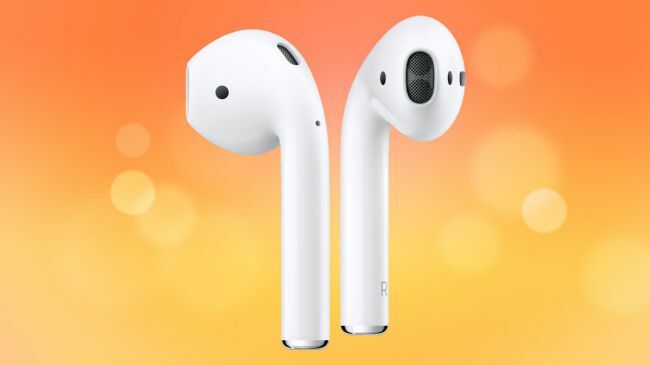 Means, although the company has experimented with different colors for its different devices, it kept the earbuds color to be same and iconic white. Airpods 2 will be available in white color only. Sad time, but still not a big sense for lovers. 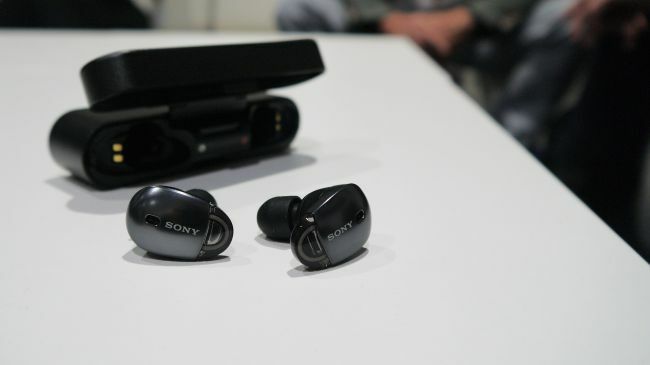 Many of the brands a few years ago where trying to get true wireless earbuds working smoothly, but they ended up to pack many more functions into their shell.Talking about Sony WF-1000X,, it managed to have noise-cancellation technolgy, which everyone were expecting to have with second generation Airpods. But, Apple’s fancy ambient noise technology seems outlined and suggests that the company is thinking in these lines but got no final cuts. Taking physical controls in consideration, there are some cases where Apple allowed users to save a lot of time and effort, and the headphones are one of the instance, although Apple don’t like buttons in most cases. Getting into practices according to some recent years, on-board controls seems like an essential feature in headphones. Even Airpods 2 allow you to take such controls in your hand, but includes no physical control buttons. To do so, you would just require to be relied on Siri, the Apple’s voice assistant only. But, taking the Voice Assistant in talk, it’s still much powerful in compare to physical controls and allow you to request specific things to do, by just a command. Still, the Siri has some limitations as well like it needs a Wi-Fi connection to work, otherwise it can just play music from Apple Music app. The most problematic thing would be, the Siri will force you to speak loud to process your requested control. In previous version of Airpods, it already had a touch sensitive control for activating Siri. But, in case of Airpods 2, the tech giant simply declined to add such control for music. To activate Siri on the new Airpod version, you would require to say “Hey Siri”, the company says wit will work more fluently that the originals. Looking through original Earpods, it seems Apple don’t like to rely on rubber tips for their earbuds, the tradition remains continued even with the newer version. We basically love to have a true wireless earbuds that feel nice and secure in the ears, and a changeable rubber tips probably help us to do so. Using these, we can choose the perfect fit of our ears that keeps the way of using buds ideally. But still, Apple stuck to follow its previous suit, and there’s missing rubber tips on Airpods 2. The all new Apple Airpods 2 is available to buy with more improvements as a 2nd generation earbuds from Apple should be. Although it has some missing points that a user may don’t like, still the device seems full of functionalities and may enhance your way to live your life ahead of others. Hope the Apple Airpods 2 review here helped you identifying all Pros and Cons through new earbuds from the most leading tech giant. If you have any views regarding this device, just put your comments in the section below. Also, Subscribe Us to stay tuned with more reviews and tech articles easily.